The War on Drugs in the United States of America is one of the biggest issues facing this nation, but many of its roots lie in a much more dire situation in Mexico. Director Matthew Heineman’s brilliant, incredible, dark, and all-too-current documentary Cartel Land digs deep into the source of the drug trafficking across the border from Mexico into the U.S., and what it finds is a bleak and corrupt situation in Mexico from which many of these issues stem. The central focus of Cartel Land is on two vigilante groups—one in the U.S. and one in Mexico—who share a common, idealistic goal of taking down the cartels that rule Mexico. But in chronicling the uprising of rebels in the Mexican state of Michoacán, Cartel Land paints a portrait of the possible inevitability of corruption, and considers how a never-ending cycle of violence and control can ever be stopped. Cartel Land opens on a familiar scene, as we get a look at the masked men who are cooking meth in the middle of the night in Mexico, which will soon be shipped across the border. In a sequence that’s straight out of Breaking Bad, they explain how a father and son duo from America with a background in chemistry came down and taught them the intricacies of cooking meth, proving that our ability to seriously mess things up knows no bounds. We then meet the members of the Arizona Border Recon, a group of former military and law enforcement officials who take it upon themselves to patrol and keep watch over the Arizona-Mexico border with guns in hand. Some of them men took up arms after being influenced by Fox News and talk radio that their country was in danger of being overrun by illegals, and one member goes so far as to opine, “Why would you put two races in the same country and expect them to get along?”, going on to add, “Tall fences make for healthy neighbors”. But the leader of the Arizona Border Recon, having been in the midst of this movement the longest, has come to understand that the primary source of trouble along the border is due to the Mexican cartels. They control the drug and human trafficking to America, and his routine patrols sniff out scouts hiding among the mountains on the U.S. side of the border. The main push of Cartel Land, though, is in Mexico, as we follow Dr. Jose Mireles, a small-town physician known as “El Doctor” who has become the leader of the Autodefensas. This group—also self-proclaimed “vigilantes”—was borne out of the complete overrun of the cartel group known as the Knights Templar. This group has essentially taken control of Michoacán with the help of corrupt government officials, and they are as dangerous as can be. One of the opening sequences shows a mass funeral for a number of recently departed innocents, among them women, children, and teenagers. These people were killed simply because the man who owned the farm on which they worked had failed to repay a debt to the cartel. We hear other grim, disturbing first-hand stories of terror, with one woman describing watching her husband being burned alive before being chopped up into pieces right in front of her. The Autodefensas take up arms and set out to clean areas in which known Templar members are hiding out, and these standoffs and shootouts are captured on camera in what are some of the most tense and thrilling sequences I’ve ever seen. The danger is real, as the “help” that may yet arrive comes in the form of the corrupt police department, which in one scene tries to push the Autodefensas out of an area by saying the townspeople don’t want them there, only to themselves come under fire from an outpouring of support from the entire town, who yell and scream at the police to leave. Mireles’ movement is a fast-growing one, as citizens in towns all over Michoacán decide to take action and join the ranks with the threat from the Knights Templar cartel growing stronger; this cartel doesn’t necessarily enjoy being backed into a corner. But as the movement swells, the focus on Mireles’ idealism of free and just peoples starts to fade and give way to abuse of power. As we’ve seen countless times in history, when a power vacuum exists, it will be filled by whoever is there to take over, and the rise of the Autodefensas as a movement results in their own corruption as well. Is it just to do evil in the name of good? How blurred is the line between the two, and if evil is necessary for good to prevail, has good actually won out in the end? These questions are not only considered in the film, they are played out before our very eyes. 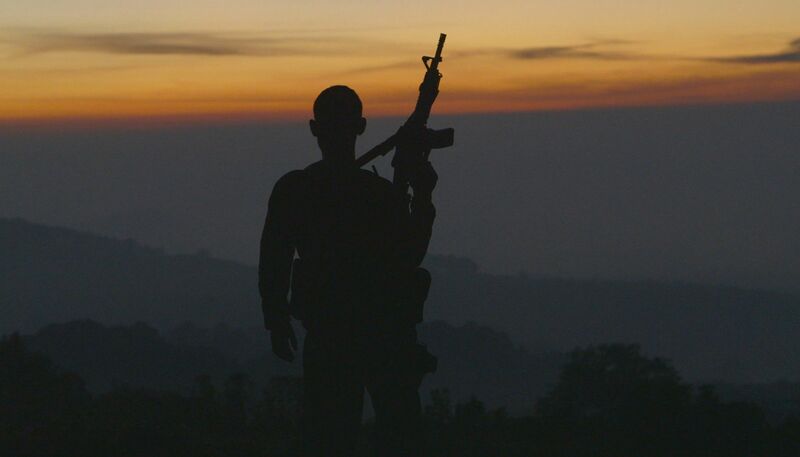 Everything about Cartel Land is stunning. Heinman’s on-the-ground approach puts the audience in the middle of these violent conflicts, and the movie feels almost like an action-thriller at points. But when the dust settles and there are bodies on the ground, the true impact of this violence is felt with the force of a punch right in the heart. We see shootouts happen in movies and TV shows all the time, but Cartel Land shows us the true fear and consequences of what’s happening in Mexico right now. The film also brilliantly portrays the vigilante movements in the U.S. and Mexico as two sides of the same coin. Many of those patrolling the border in America are unaware of just how bad it is for those living in Mexico; a number of citizens are living an impossible life with nowhere and no one to turn to for safety. 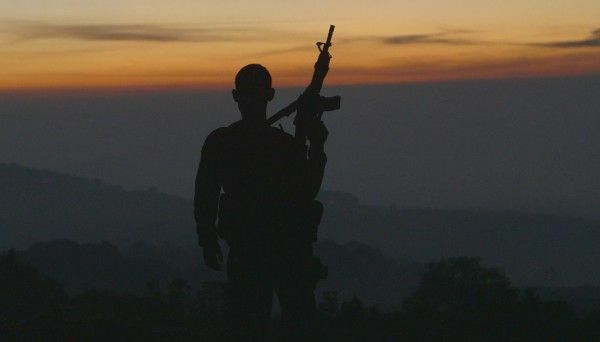 Cartel Land is a dire meditation on the relationship between idealism and violence, and what combining the two does to the individuals fighting for good. Heineman crafts the film with a confidence and intense focus that results in a tight, dark, and powerful narrative that’s almost too dramatic to be true. While the film ultimately may not be inspiring or uplifting, it’s an eye-opening and profound experience that not only gives us insight into the situation in Mexico, but a first-hand account of an endless cycle that has repeated over and over in the course of ours species’ history.